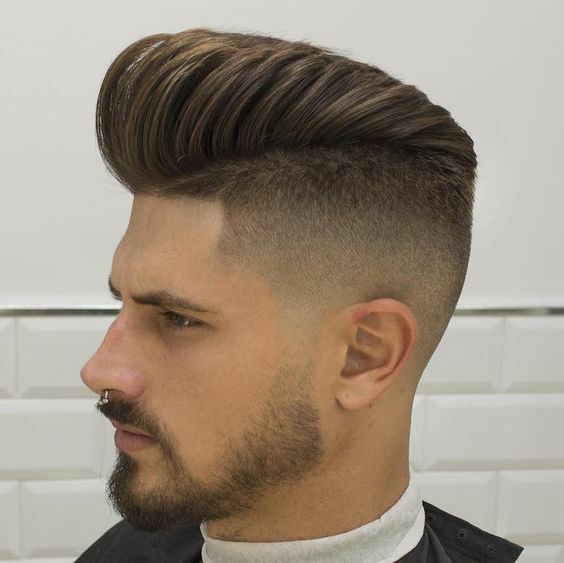 To create a very perfect pompadour combine it with an undercut, the undercut helps the face seem even thinner and more angular than regular. The styling of this look is incredibly symmetrical and will be difficult to achieve. The hair is very well defined due to the undercut.